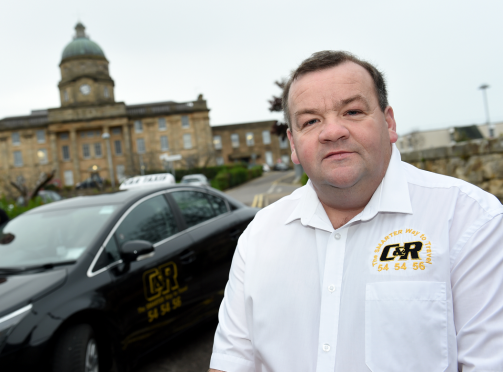 A taxi firm boss fears business could go to the wall if Moray Council raises the cost of operating licences. The local authority has launched a consultation on a possible increase in fees for running cabs. Rod McLennan, owner of C&R Taxis, said: “Every increase in the cost of licences to keep the cars on the road makes it harder all the time to stay in front of things. Increased taxi licence charges may only be the start as Moray Council is planning similar consultations about other licences it issues. Until fares can be increased, operators would have to carry the burden of any extra costs. Moray Council has stressed that it does not make a profit from managing the licence applications it handles throughout the year. Licensing committee chairman Councillor Gordon Cowie said: “The revised fees reflect as accurately as possible the amount of staff time and fixed costs involved in processing licence applications. “It is only fair that the full cost of operating the licensing system is recovered by the council, otherwise council tax payers are effectively subsidising each and every licence that we issue. The council’s consultation will close on May 27 and the results will be reported to councillors at the end of June.